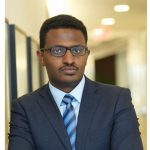 Mr Samuel Z. Alemayehu is the Global Managing Director of Cambridge Industries Ltd.
Mr Samuel Alemayehu started his career in Silicon Valley as a serial entrepreneur. He is the founder of three successful tech ventures based in California. He also worked as a venture investor at Venrock Associates, where he focused on consumer media services around the world. He then moved to Africa in 2009, founding and investing in numerous companies across the continent and in a range of industries. Most recently he co-founded Cambridge Industries Ltd, to accelerate the implementation of pioneering infrastructure projects in emerging cities. He oversaw the construction of the first municipal waste-to-energy facility in Africa, located in Addis Ababa, Ethiopia as part of a waste-to-energy facility in 6 African cities. Each Facility is set up as a multi-purpose plant with numerous functions including metal recycling, brick production, industrial steam and insect farming. Most recently, Reppie has invested in the development of renewable energy projects in Uganda, Kenya, Cameroon, Senegal, Somaliland and Djibouti. Samuel is an active angel investor globally and sits on the board of numerous companies. He is an expert on technology investments and the development of renewable energy projects for emerging markets. He is a graduate of Stanford University School of Engineering.